It is with great regret that we bring you news of the passing of John Thompson. His son James announced that he passed away after having a massive stroke at the age of 52. 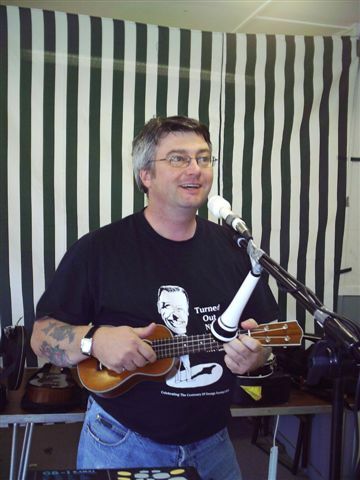 John T was one of the UK’s leading lights in the recent Ukulele revival. You might have seen his shop photos on a previous post on this sight. In the few times we met him we found him to be kind and generous with his knowledge, totally enthusiastic about ukulele’s and a great guy to talk to. We will miss you John. Our thoughts are with your family at this difficult time.